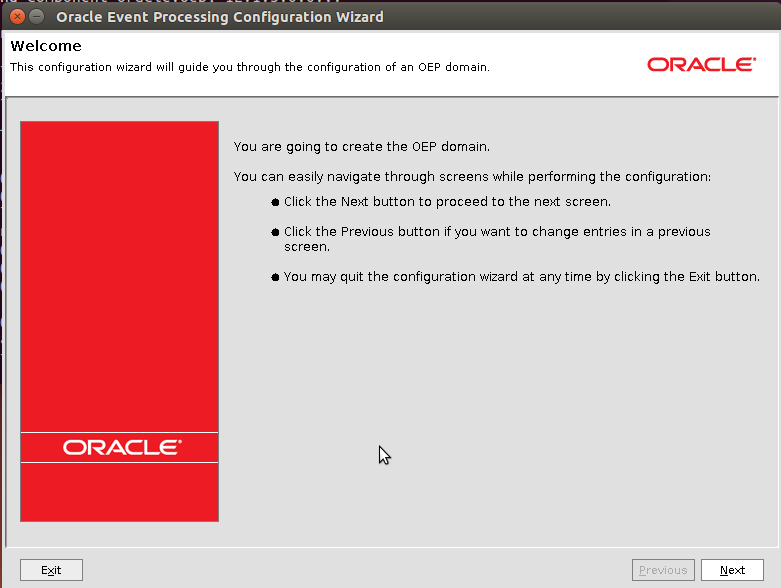 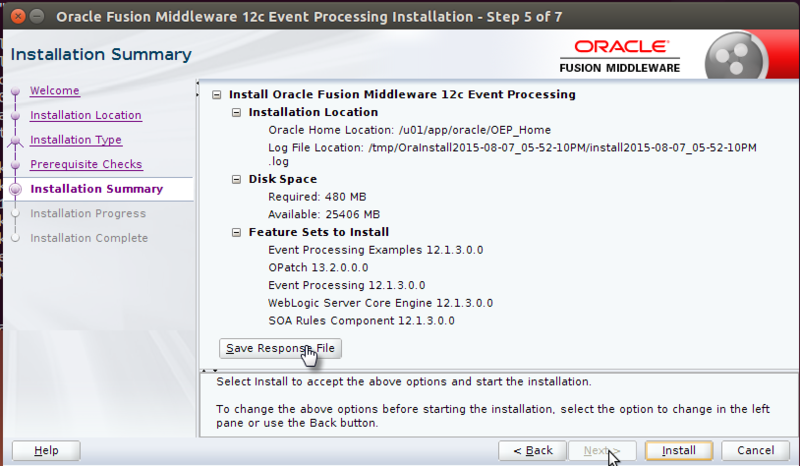 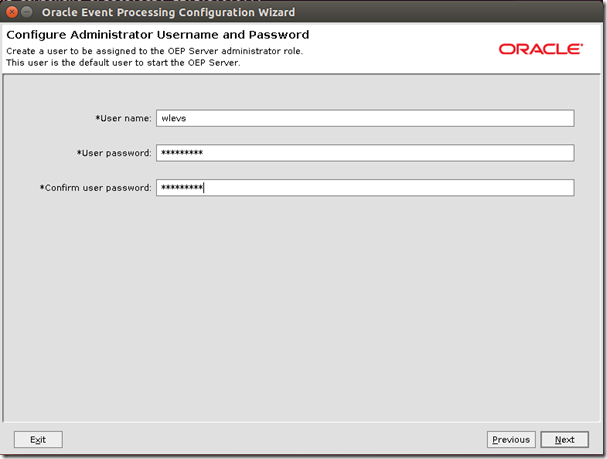 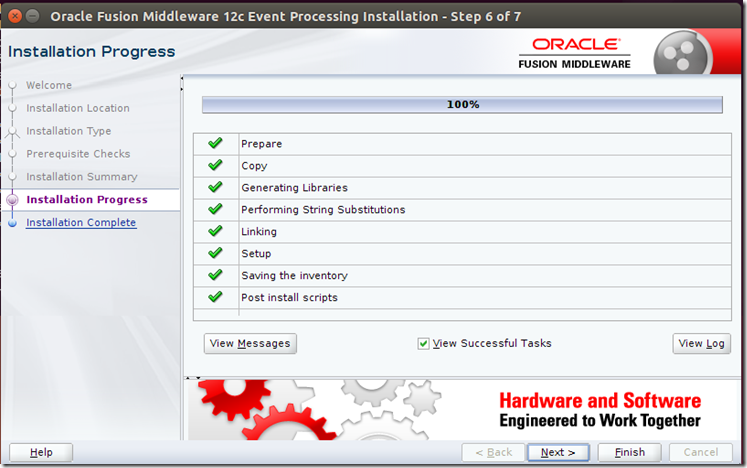 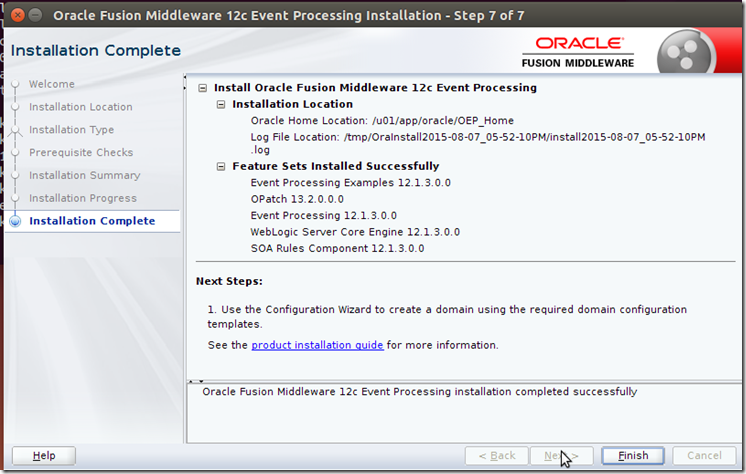 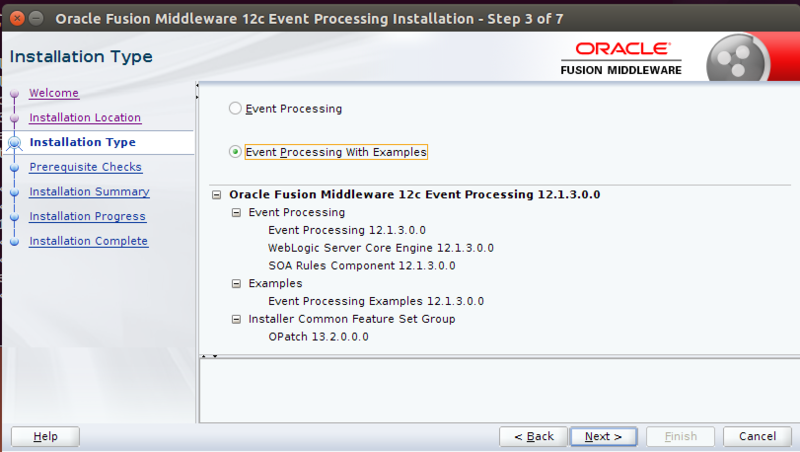 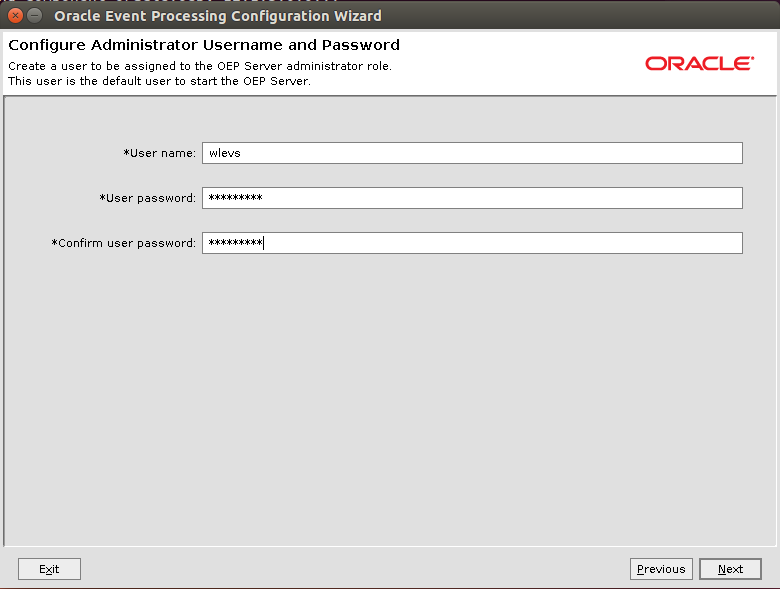 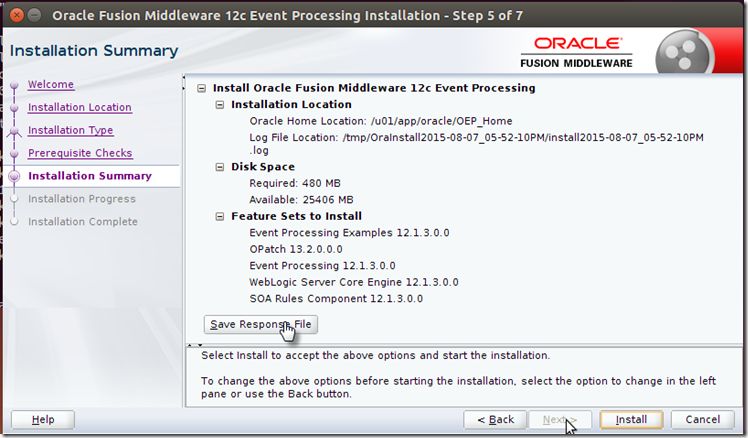 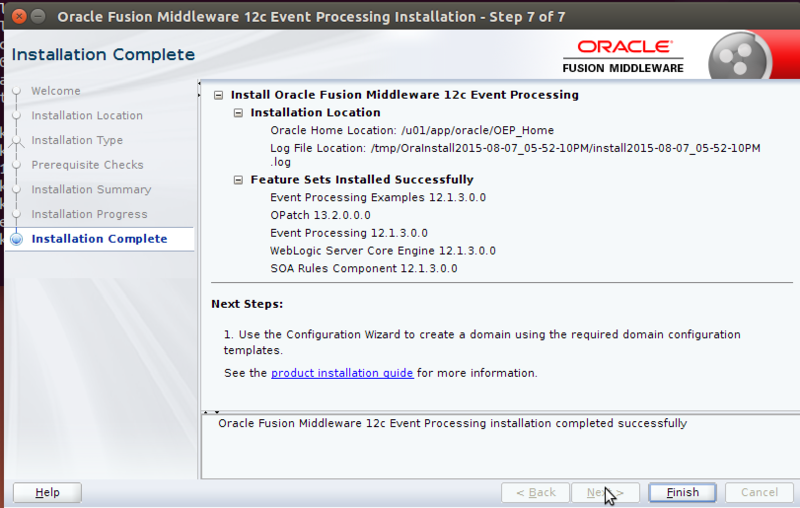 This article discusses the installation of Oracle Event Processor 12c on Linux 64bit and the subsequent installation of Stream Explorer on top of OEP 12c. 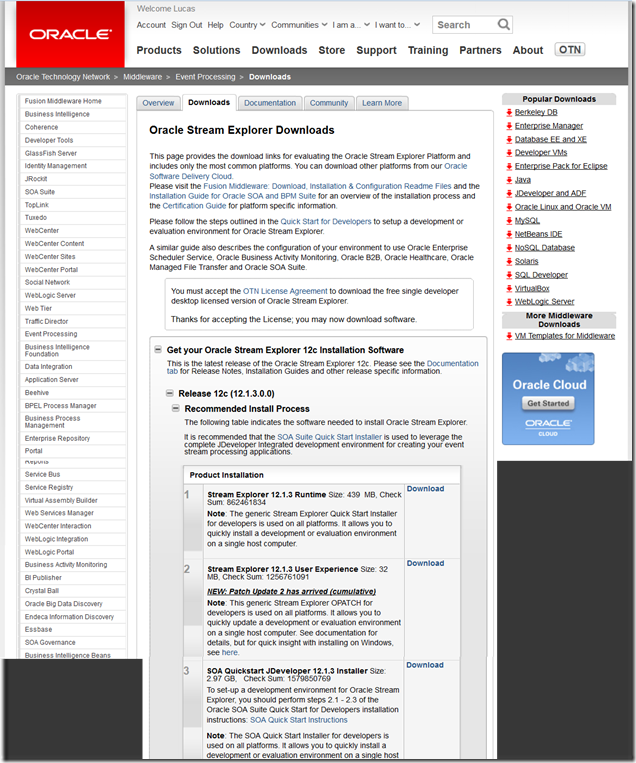 This article assumes Linux 64bit as the operating system. 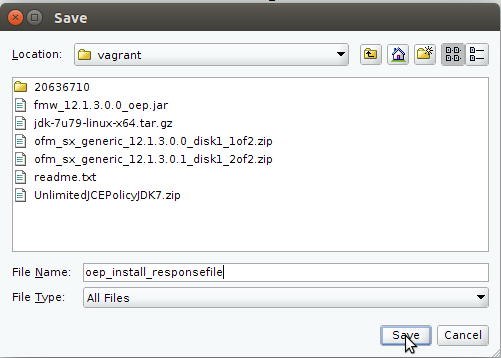 More specifically: it assumes the environment that can be produced following the instructions in my article Quickly produce a Linux 64 bit Ubuntu 14.04 Desktop environment using Vagrant and Puppet – as starting point for Oracle installations – Ubuntu 14.04 64bit plus Desktop and JDK 7U79. 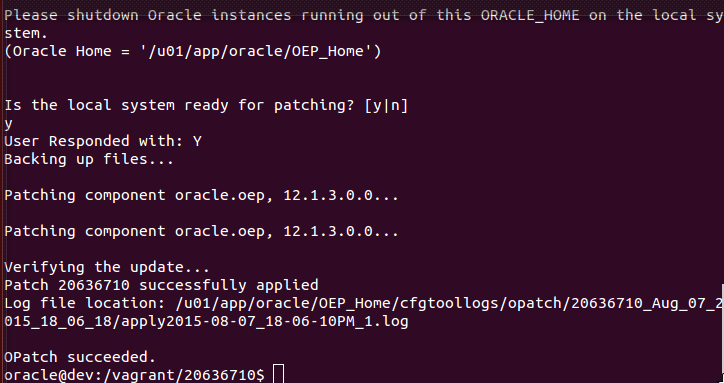 Note that other Linux 64bit environments are probably fine (even better maybe as Ubuntu is not officially certified with OEP). 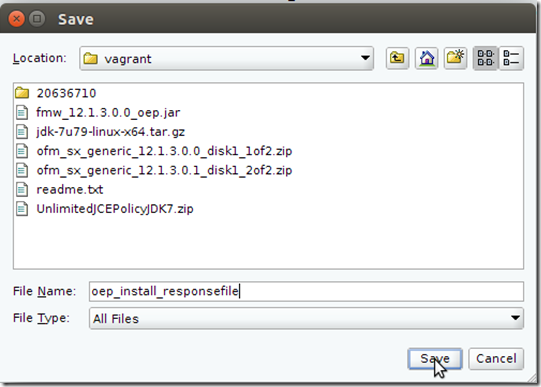 Note that in a subsequent article I am going to leverage Vagrant and Puppet to automatically install OEP and Stream Explorer – so as to stamp out VM images for researching OEP and SX without manual actions. I assume that the Linux environment has a user oracle in a group oracle and a directory (tree) /u01/app/oracle of which user oracle is the owner. 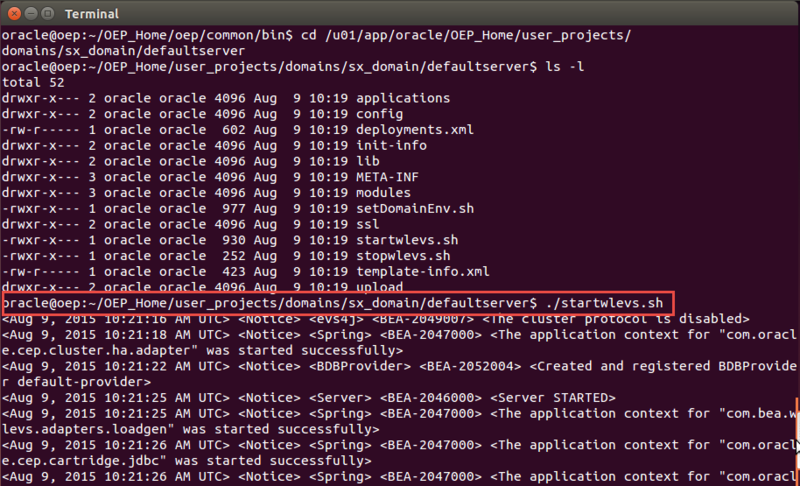 This directory is where the ORACLE_HOME will be based. 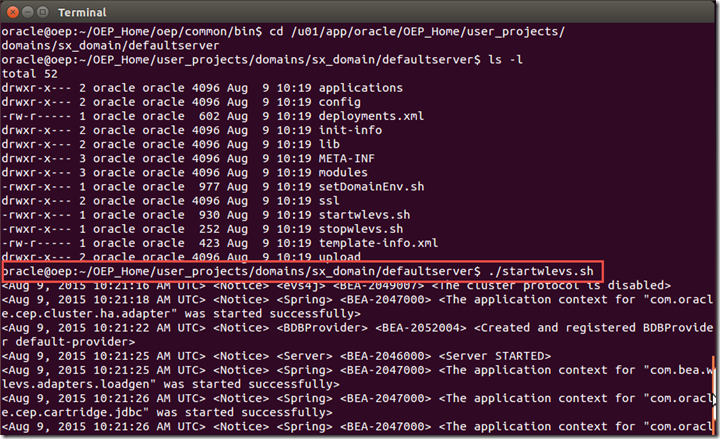 If you are using the Virtual Box created with Vagrant as discussed in my previous article, then move these files to the /files directory under the home directory of the Vagrant project (and extract the zip files while you are at it). 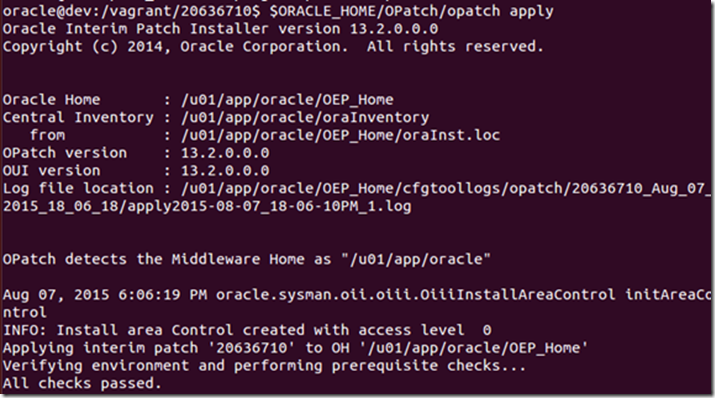 Start a terminal window as user oracle and navigate to the directory that contains the software packages. 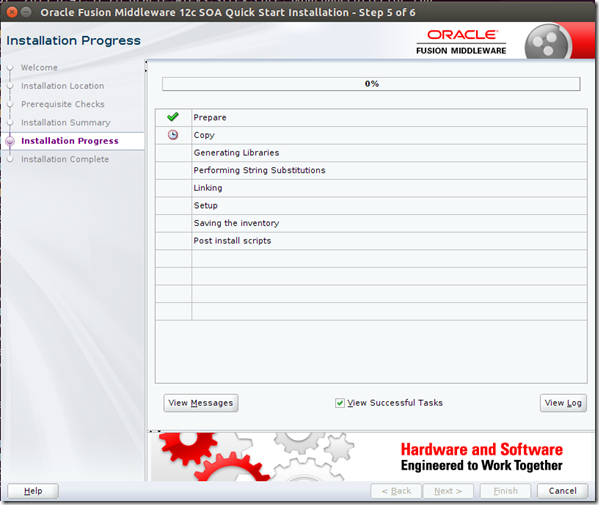 This will start the installation wizard. 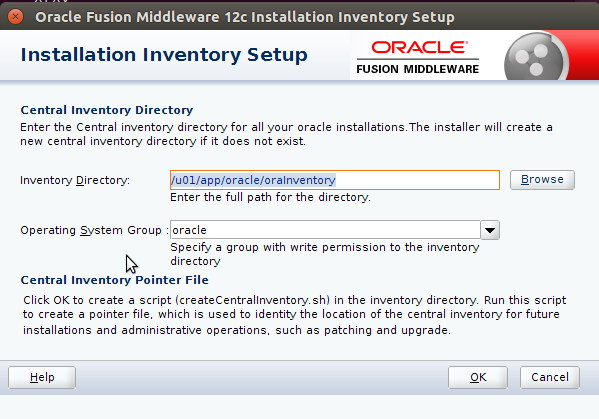 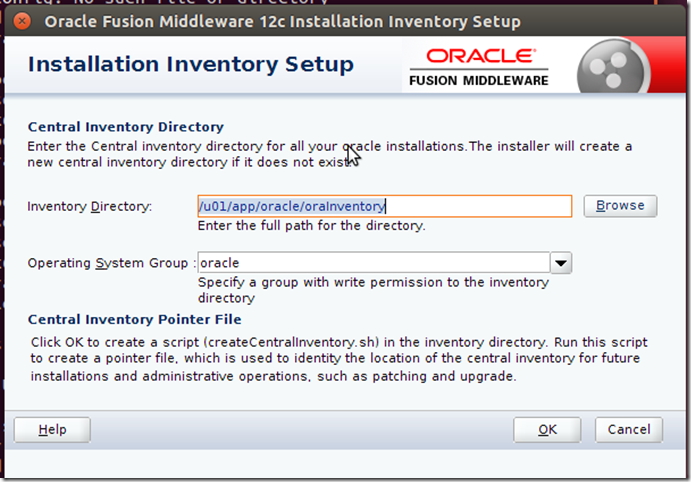 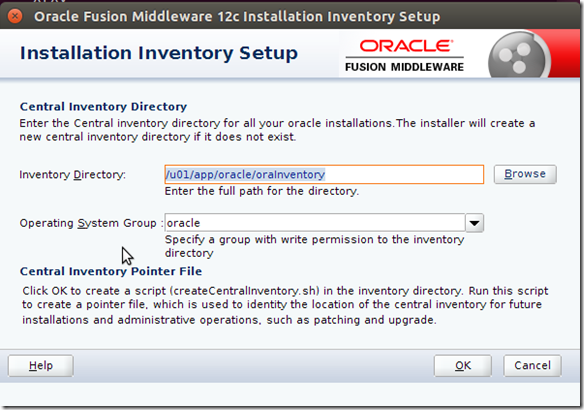 Set the Inventory Directory to /u01/app/oracle/oraInventory. 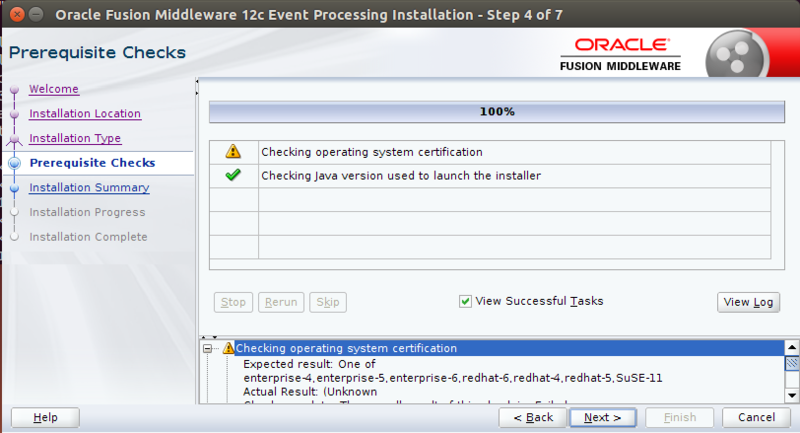 Click OK.
Ubuntu is not officially certified. However, for development purposes it will do the job. 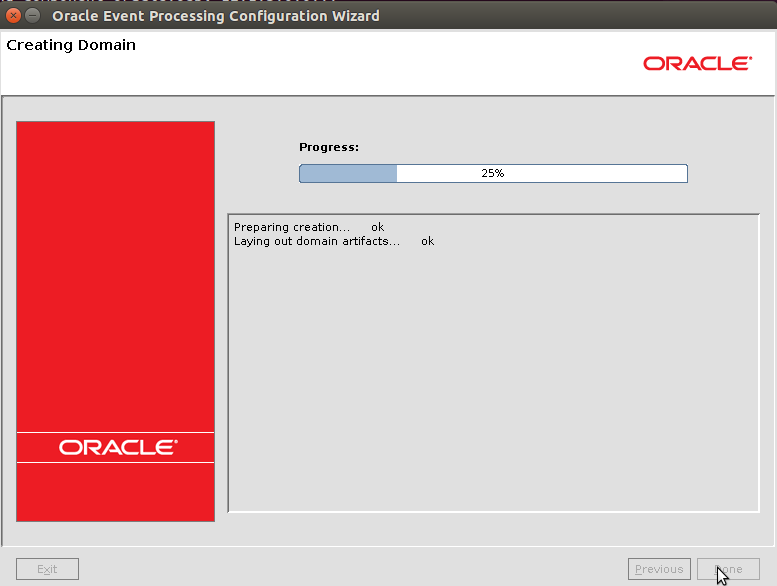 So press Next despite the warning. Click on Save Response File. 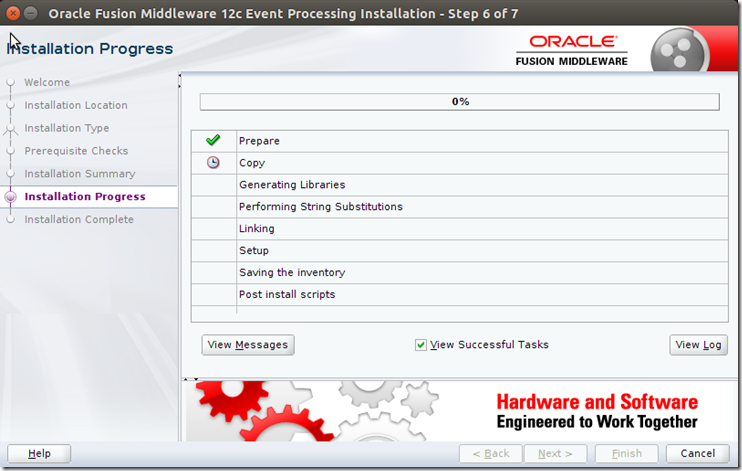 Save the response file that we can use at a later stage to automate the installation process using the silent install procedure. 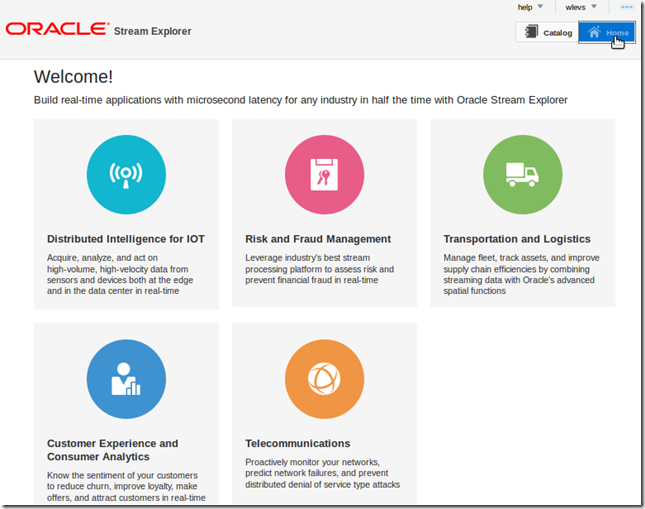 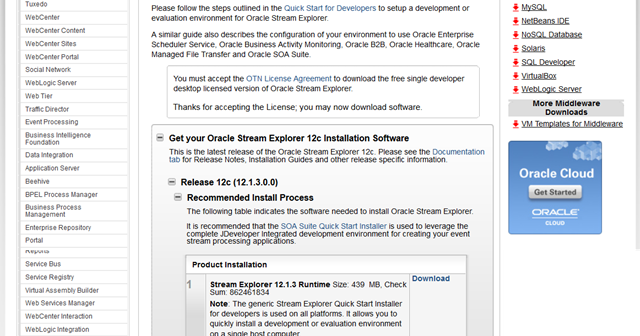 Stream Explorer is distributed as a patch on top of Oracle Event Processor 12.1.3, to be installed through the OPatch tool. 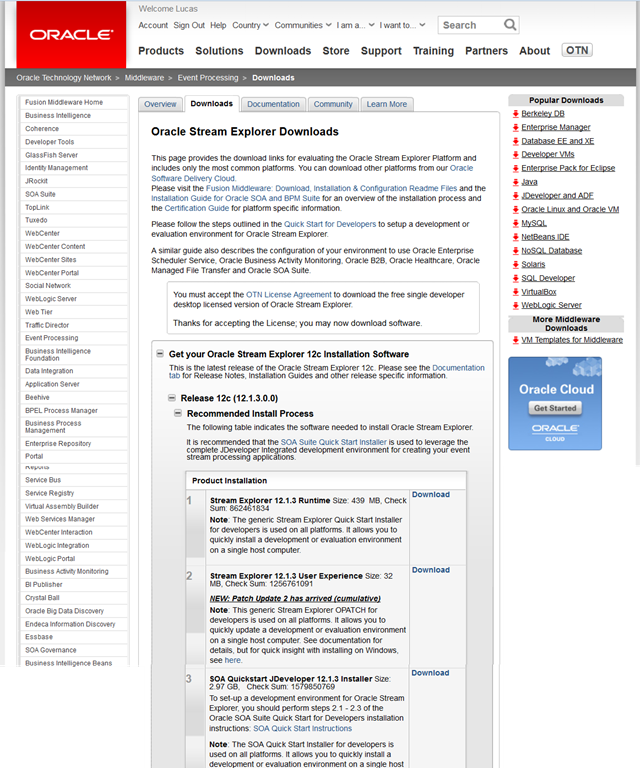 Extracting file ofm_sx_generic_12.1.3.0.1_disk1_2of2.zip resulted in a folder called 20636710 which contains StreamExplorer as a patch with that PatchId. 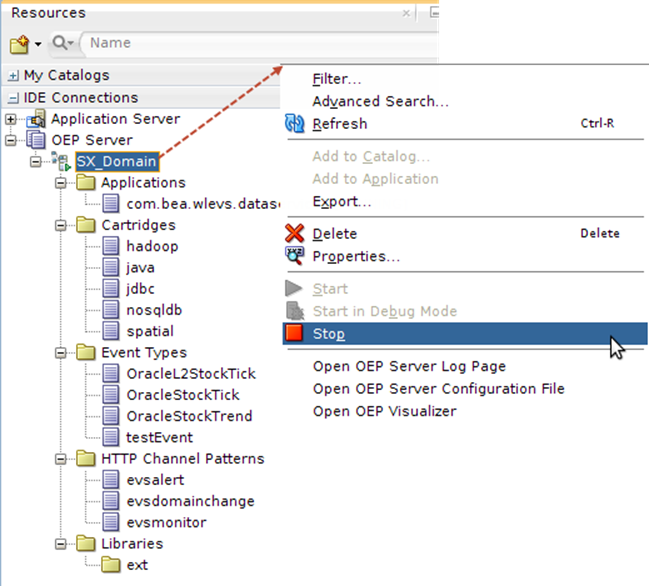 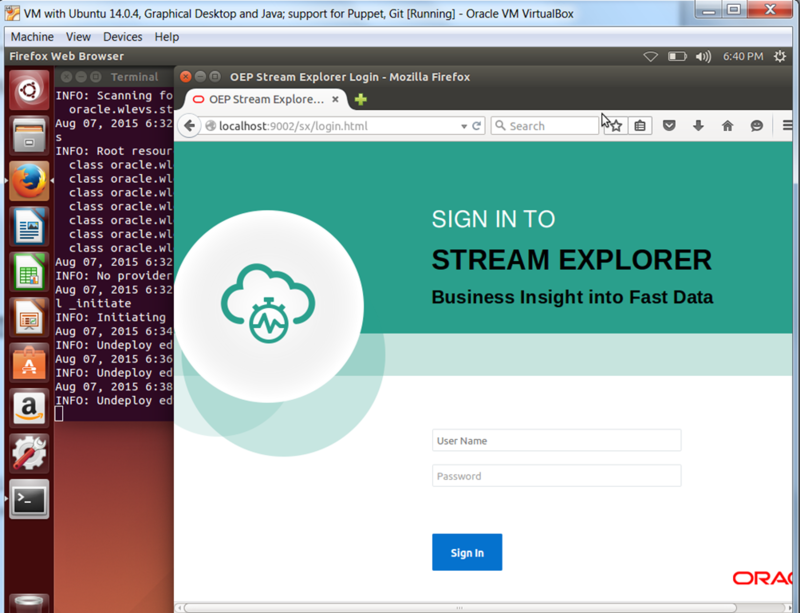 Before we can start creating Stream Explorer explorations, we need to configure an OEP domain. 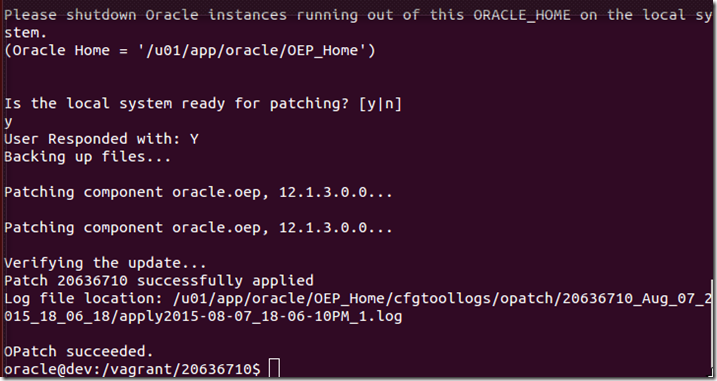 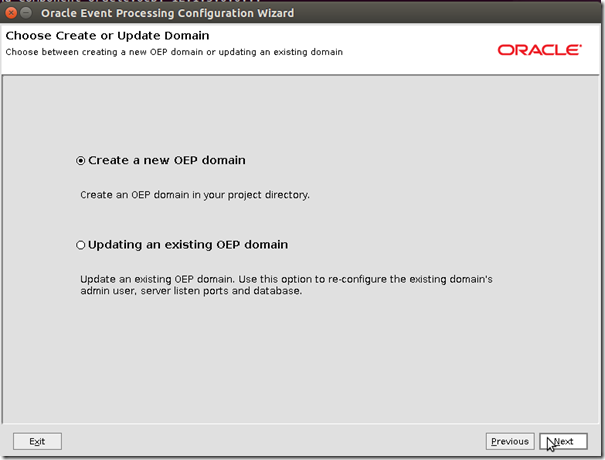 Configure your OEP domain with script /u01/app/oracle/OEP_Home/oep/common/bin/config.sh. 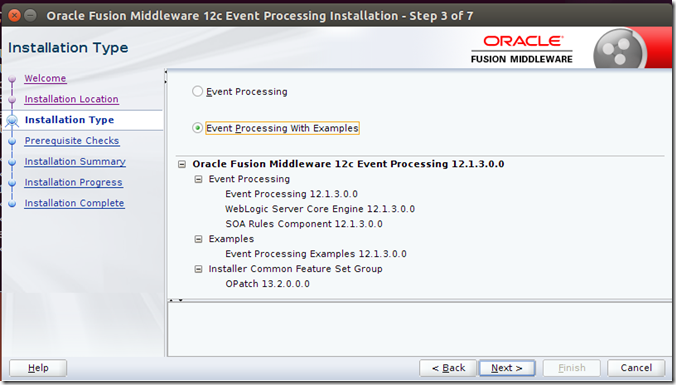 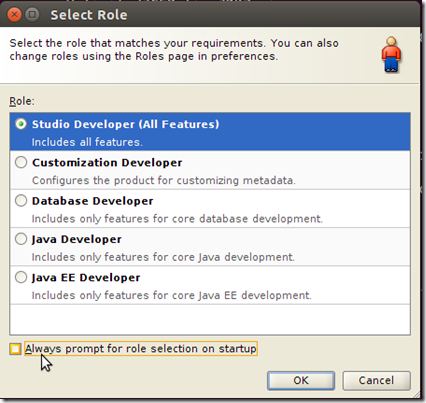 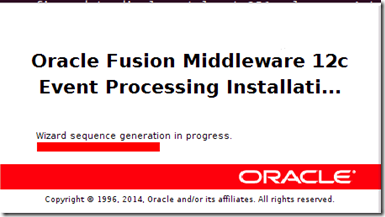 JDeveloper – and then the specific JDeveloper edition shipped as part of the SOA Suite 12c quick start installer – provides the IDE for Oracle Event Processor. 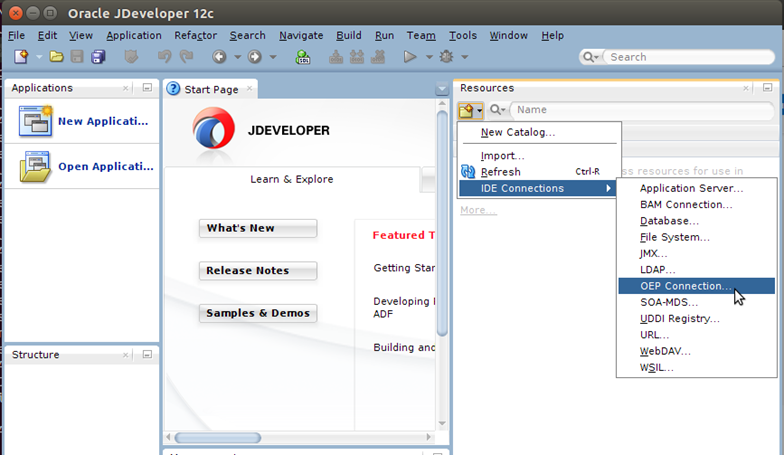 You do not need JDeveloper for your first steps with Stream Explorer., However, once you get more serious, it is very likely that you will need the JDeveloper IDE as well. 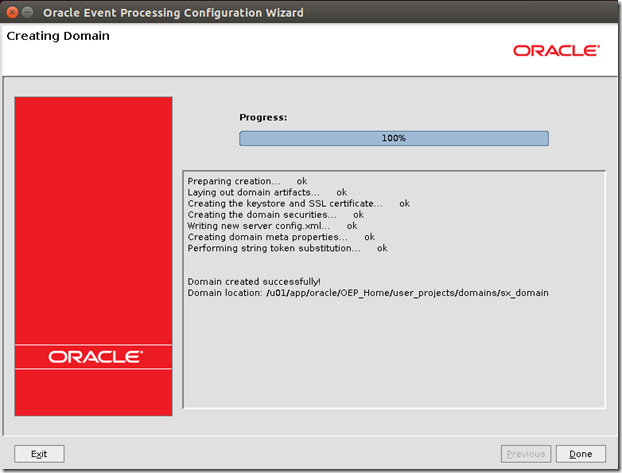 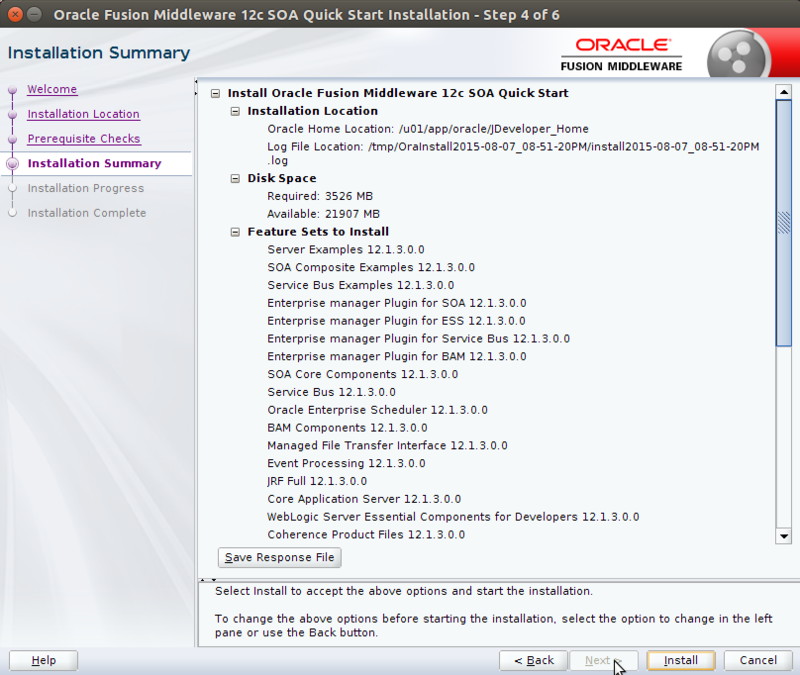 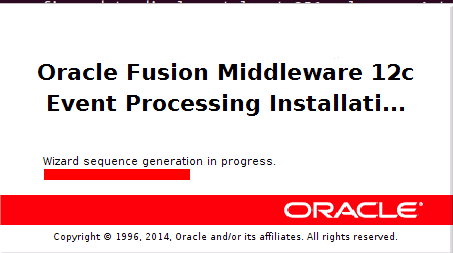 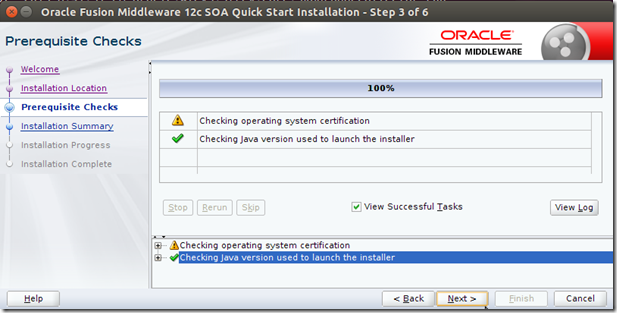 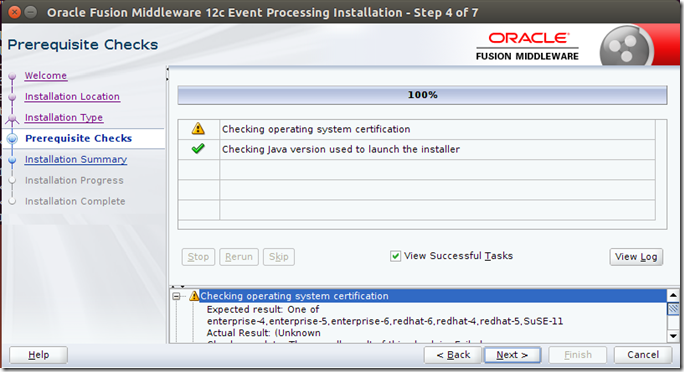 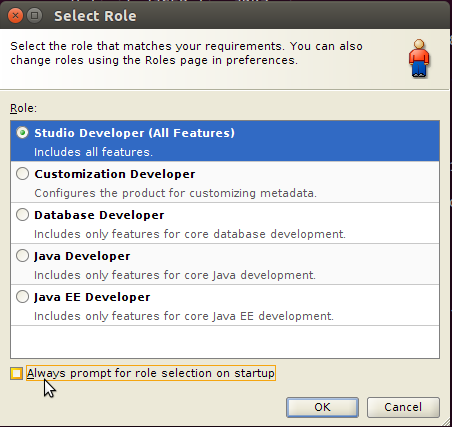 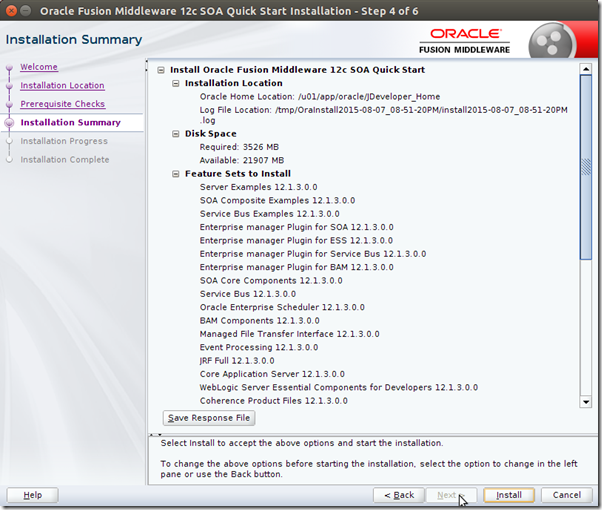 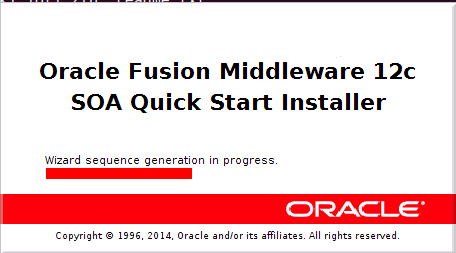 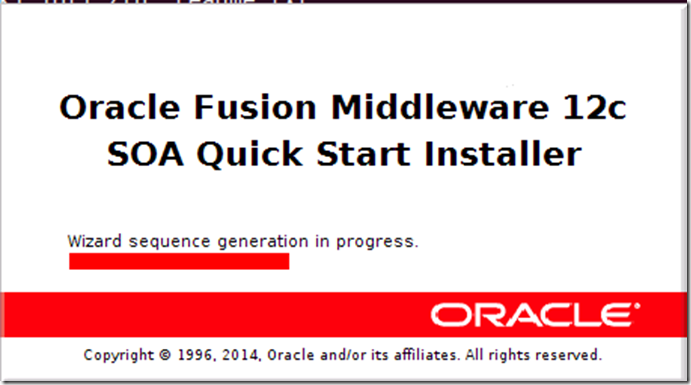 Follow the steps in the installer to install JDeveloper (see for example https://guidoschmutz.wordpress.com/2014/07/06/installing-oracle-soa-suite-12c-quick-start-distribution/ ). 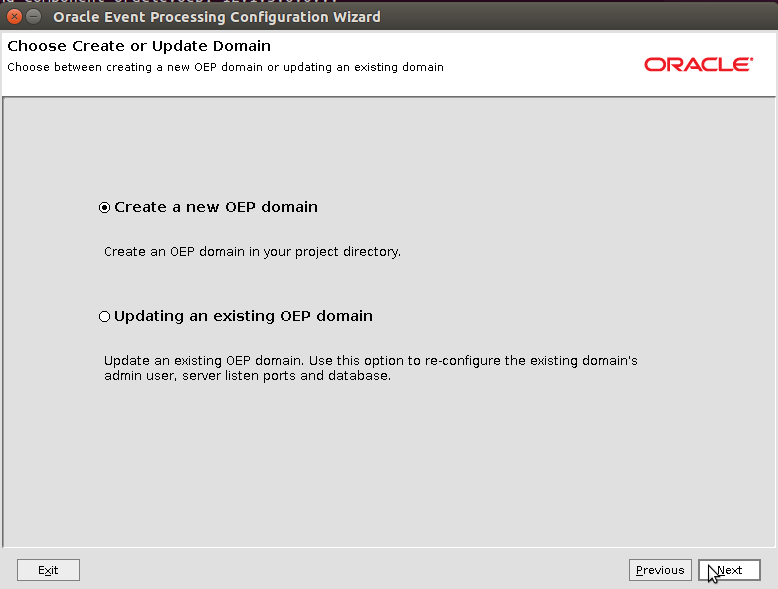 and create an OEP Connection to the OEP Domain sx_domain. 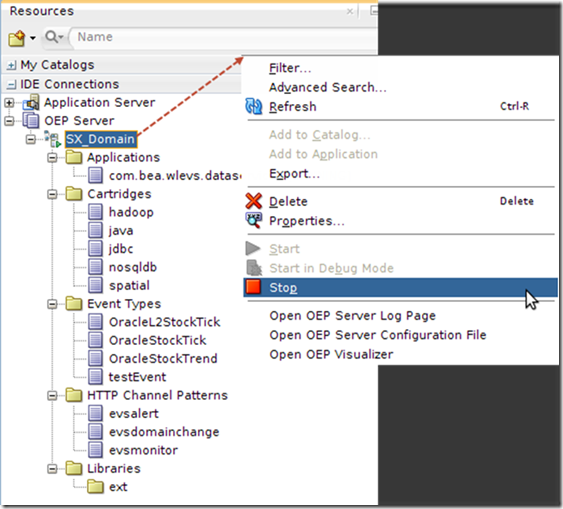 The OEP Domain can be manipulated from within JDeveloper as well as on the command line.